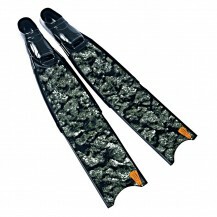 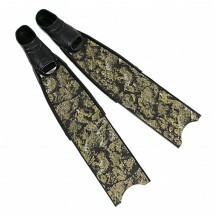 Brown Camouflage Pro spearfishing fins Supplied with a FREE Hard Fins Carrier Box. 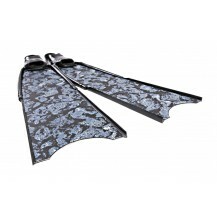 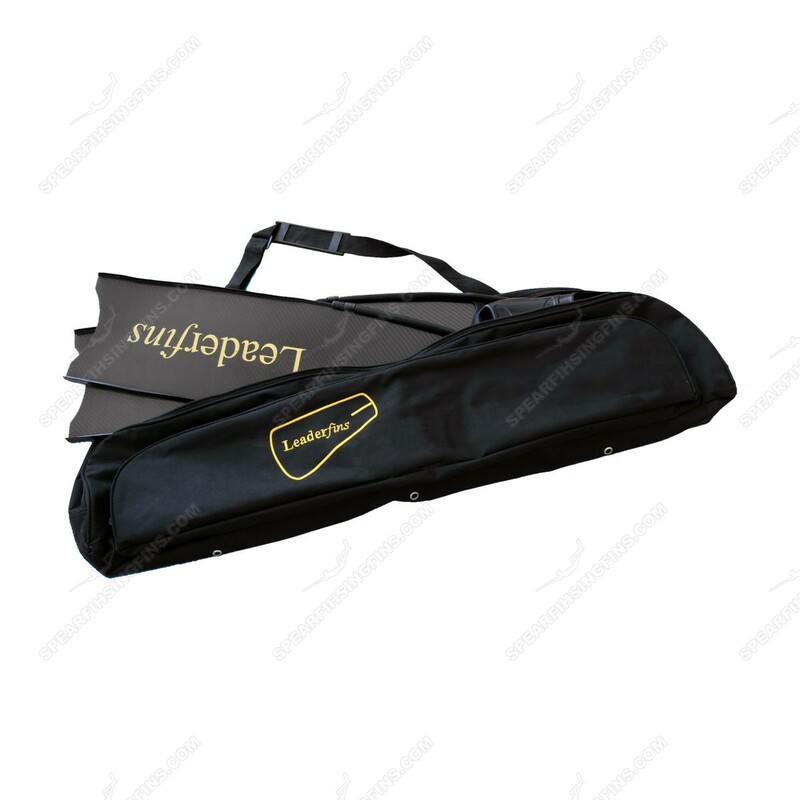 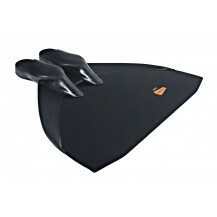 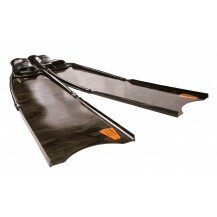 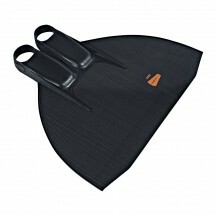 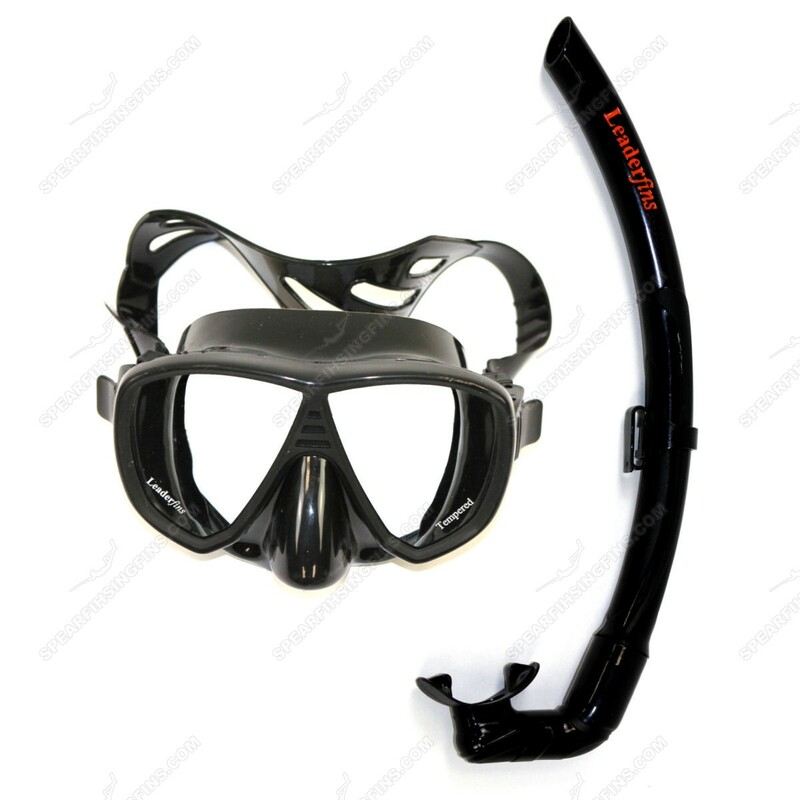 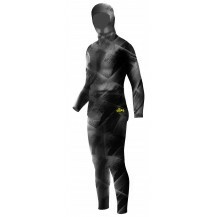 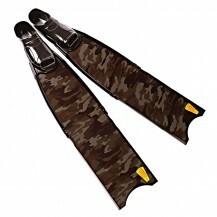 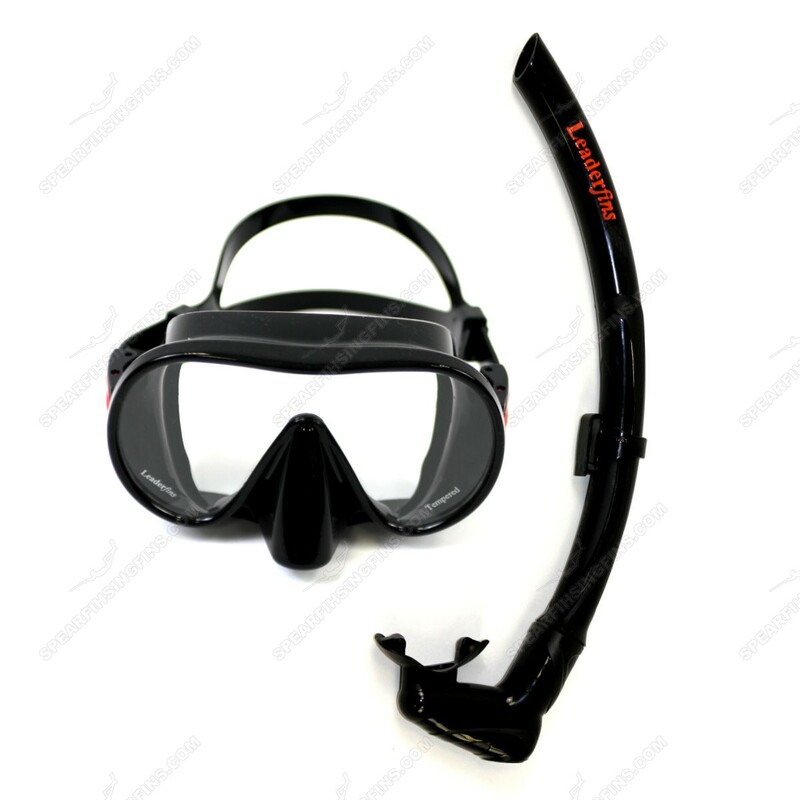 The Brown Camouflage Pro spearfishing fins are supplied with a FREE Hard Fins Carrier Box. 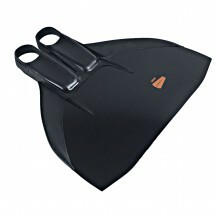 I have waited before writing this review until I actually dive with the fins. 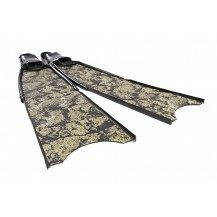 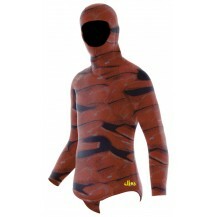 I dove with the fiberglass brown camo up to 14 meters depth. 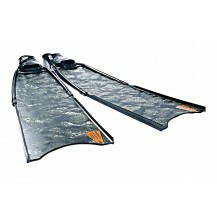 I did move with them quite a lot between formations, I also had to board and disembark the inflatable boat several times. 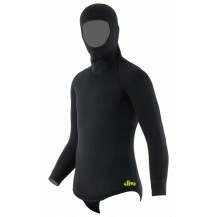 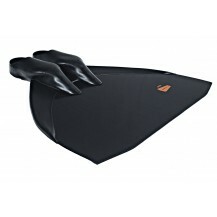 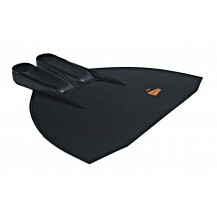 Overall I am happy with the experience, the fins are light and responsive. 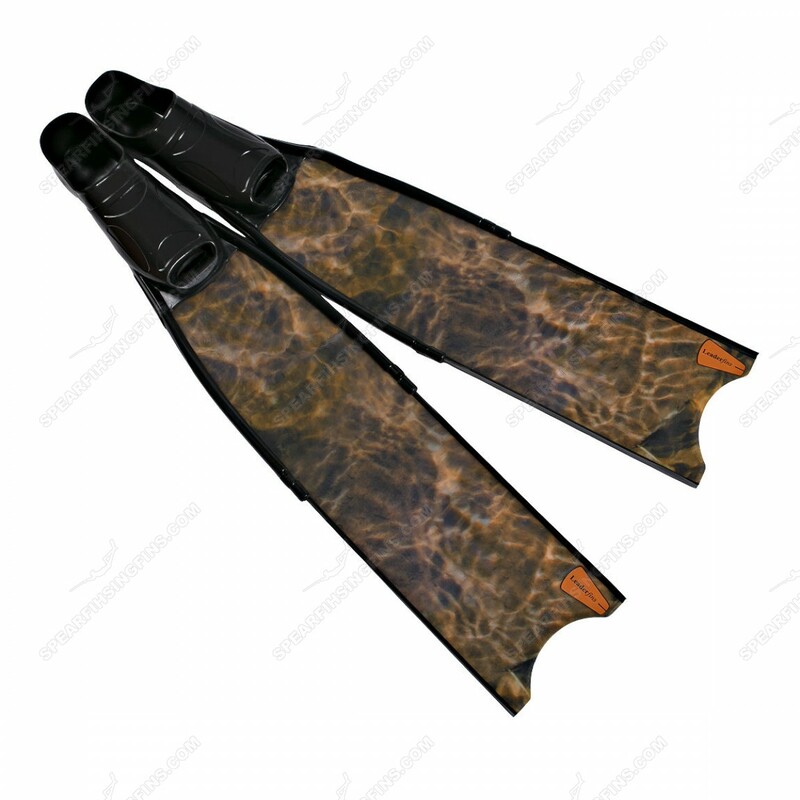 The material of the foot pockets seems good quality, the blades look nice and has some transparency (normal with fiberglass). 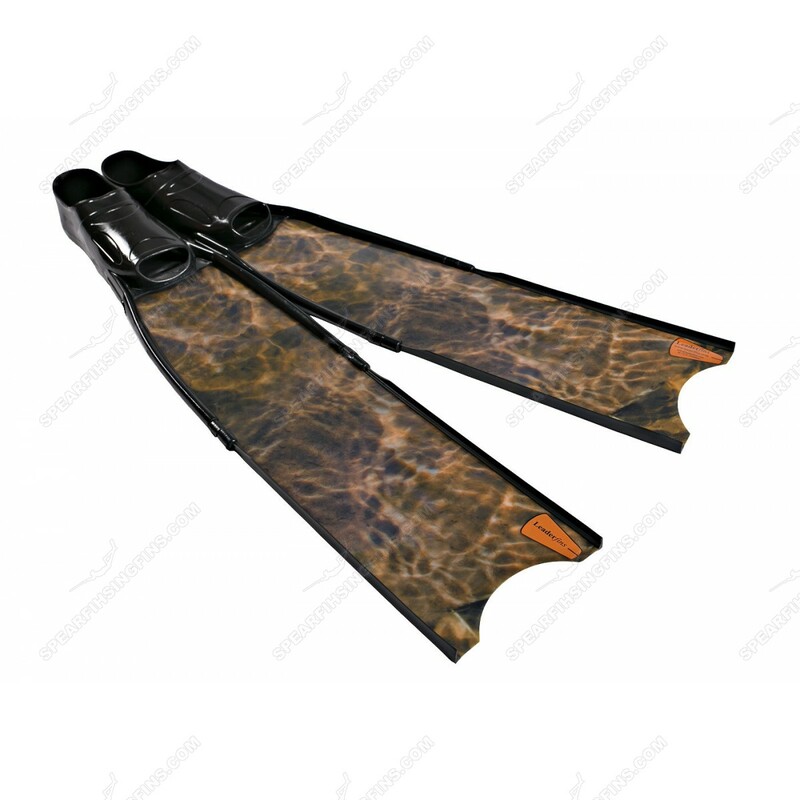 I have chosen medium stiffness and to me they felt soft. 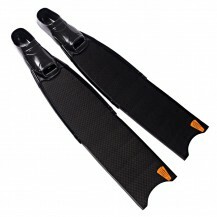 I have never used fiber nor carbon fins before and I've been using plastic fins for years. So when I say they feel very soft that's in relativity to my experience. The only downside I found is the bottom (sole) of the foot pocket. 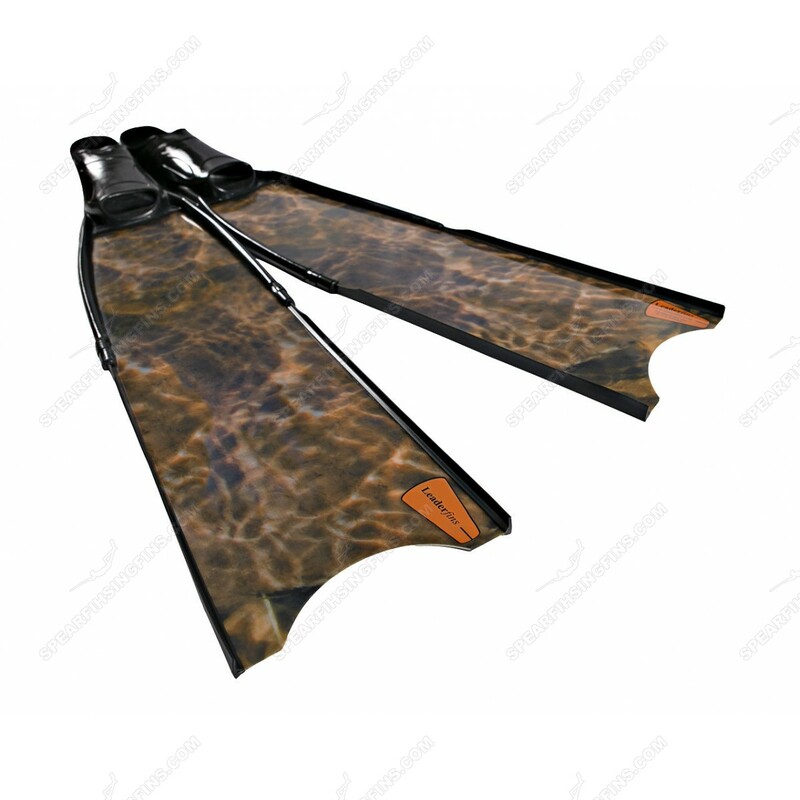 I think they would be better if made with harder but not heavier material. 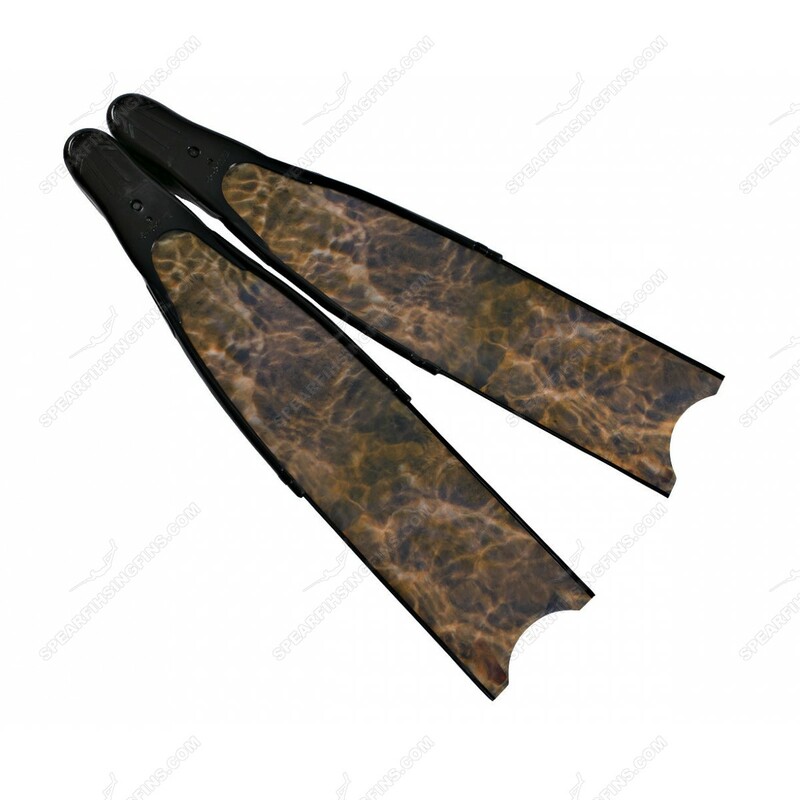 I found that the middle of the sole presses to my feet sole a bit sharply. 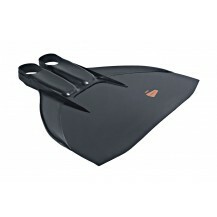 This can be felt after few hours of finning. 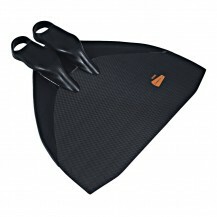 I have been using them with 2.5 mm neoprene socks. 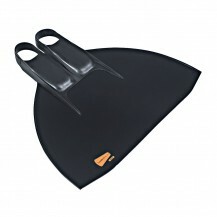 The size 43-44 is very good fit (I wear 42 shoes). 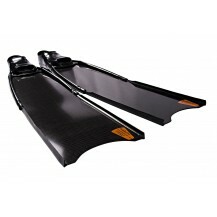 Overall I am happy with the fins and would recommend them as a mid class fiber fins. 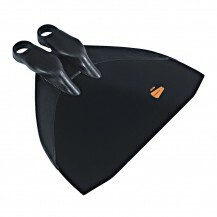 I may try to install the blades on my Cressi Garsa modular foot pocket and see what difference that would,are. I will update the review if I experience any interesting new findings.